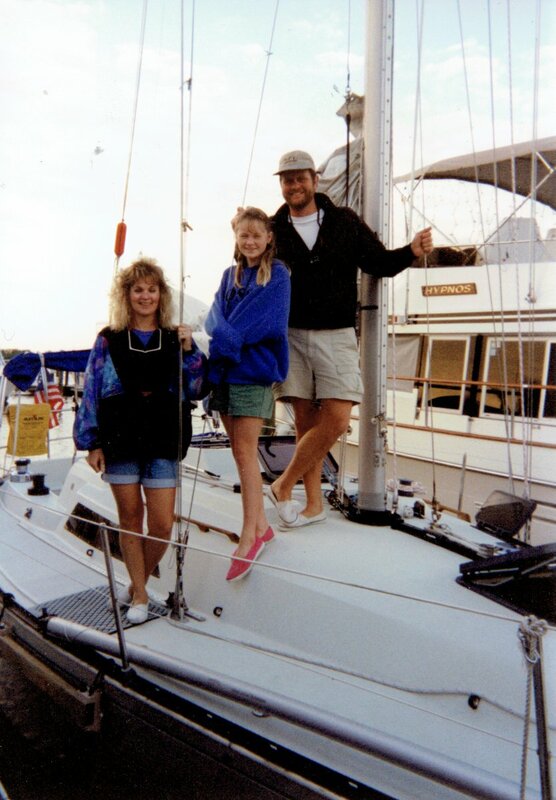 Once upon a time, my wife, Marlene, and I came up with the “harebrained idea” of purchasing a live-aboard sailboat in Florida. This is when we were young parents who could, arguably, ill afford it. 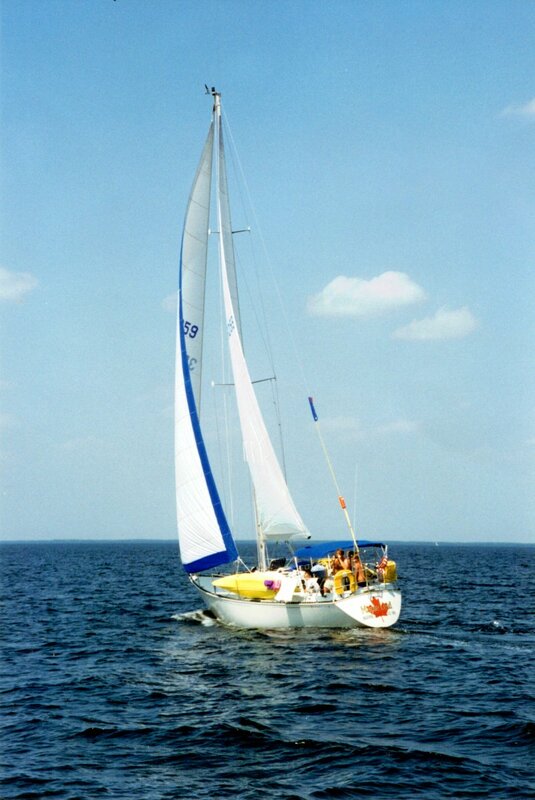 Add to that, we had next to no sailing experience. And add to that, we lived in Minnesota, not Florida. But those deficiencies were cast aside to naivety and our sense of adventure. The fact that we were artists (our relatives would use the term “crazy artists”) helped make it possible to “think outside of the box.” And, perhaps more importantly, the fact that we were self-employed artists made it possible to take winters off from work and, hence, spend the winters in Florida. Nevertheless, while it did not always seem so at the time, “the harebrained idea” ended up being one of the best ideas that we have ever had. 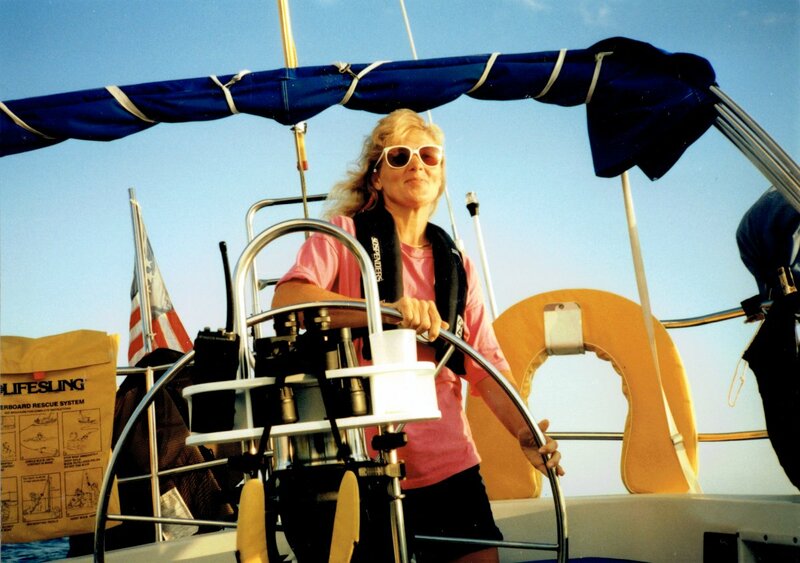 Now I do not want to give the impression that we boldly headed out to circumnavigate the globe. We were not that crazy. 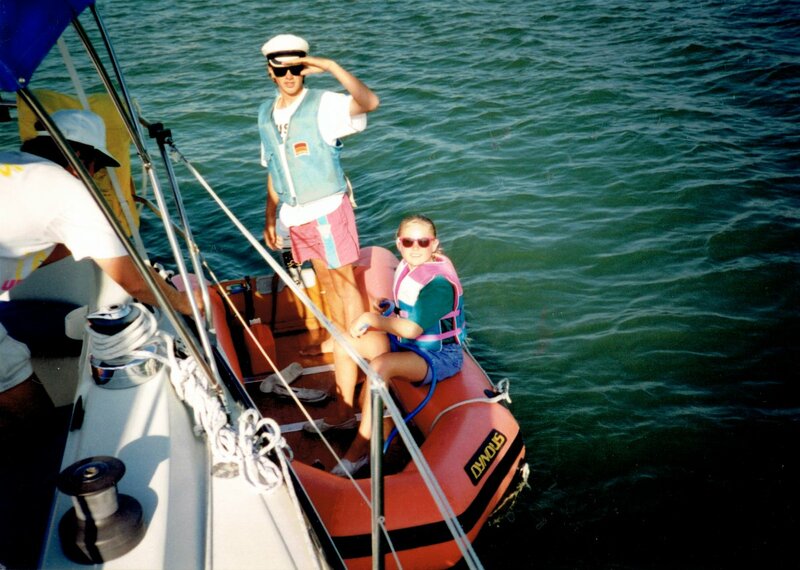 Our sailing ambitions were far more tame. 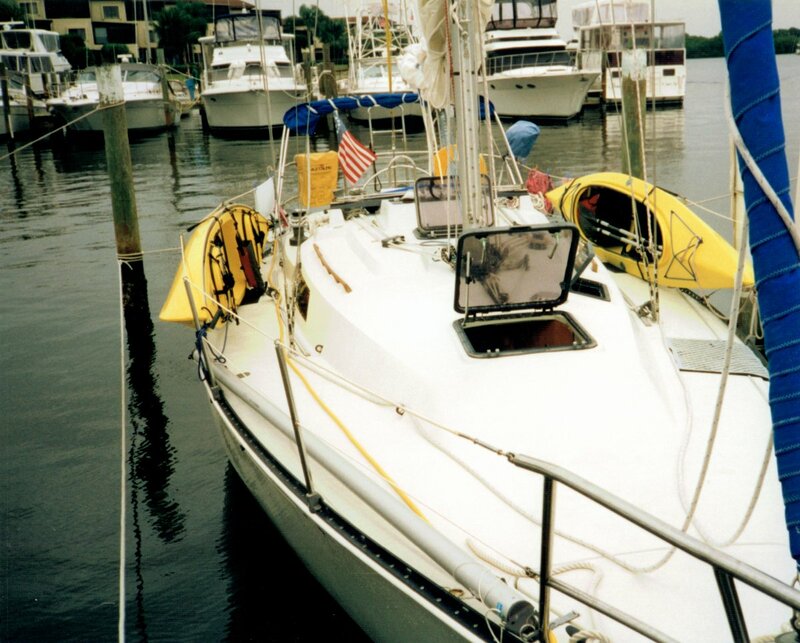 Instead, we based at a marina on the Gulf side of Florida and made excursions from there—venturing as far as the Florida Keys and once to Dry Tortugas. 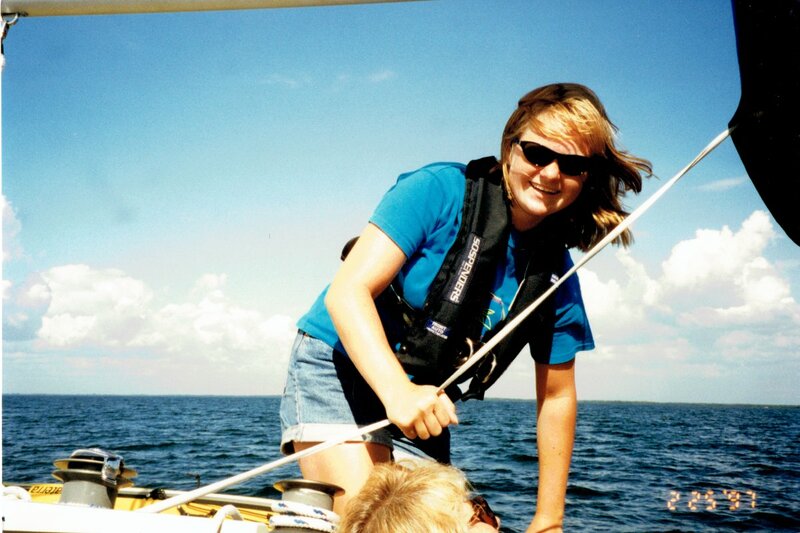 We were far more concerned about snagging the line of a crab trap in our propeller than encountering an epic-sailboat-turtling rogue wave. 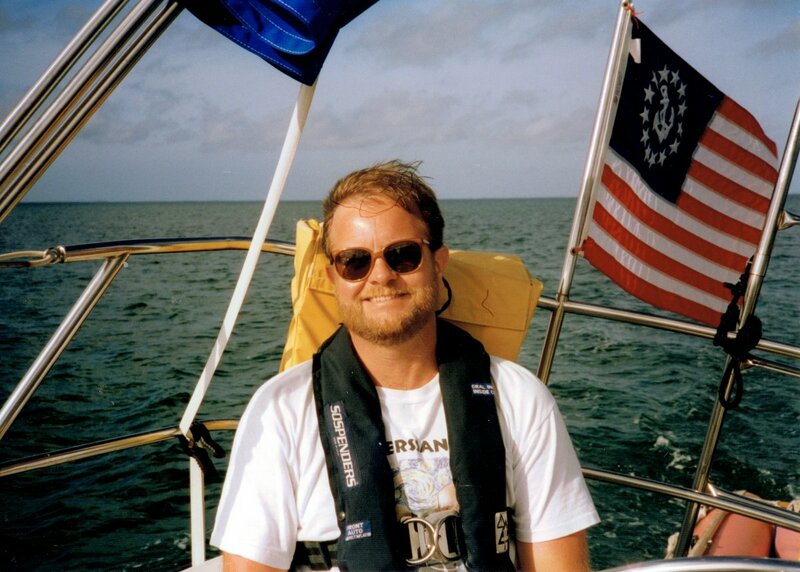 But even heading out a modest 140 miles from our home port, put us far from the sight of land—far enough to potentially get into some serious trouble. When there is nothing but you and a vast plane of water, you can feel kind of small. When that vast plane of water churns up, you can feel kind of small and very uncomfortable. 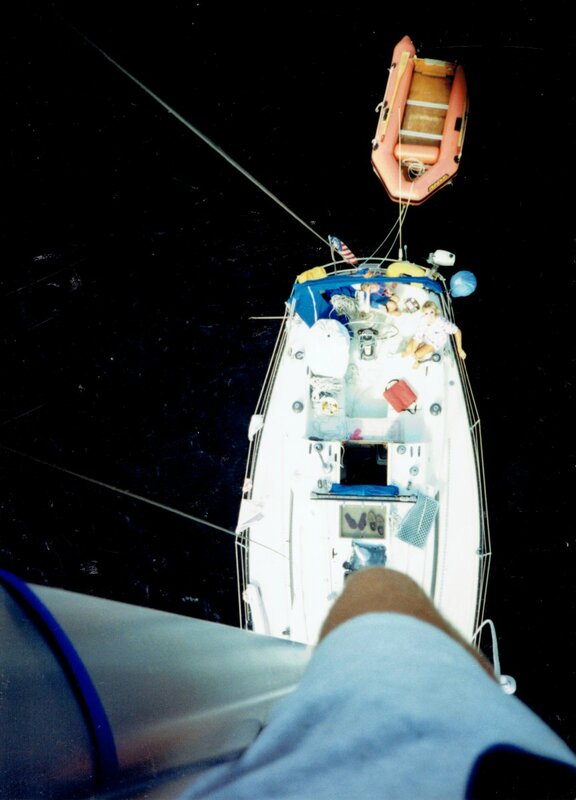 When you trudge across the vast plane of churned up water at only 6 knots, you can feel small and uncomfortable for an excruciating long time. And while you make slow headway with the bow of your boat slamming into tall square waves, shuddering the entire hull with each hit as if plowing through an endless series of brick walls—the collision noise reverberating loudly out of the companionway opening like the sound hole of a giant acoustic guitar—you pray that the boat manufacturer did not cut any corners. Fortunately, ours did not. The boat was probably tougher than us. 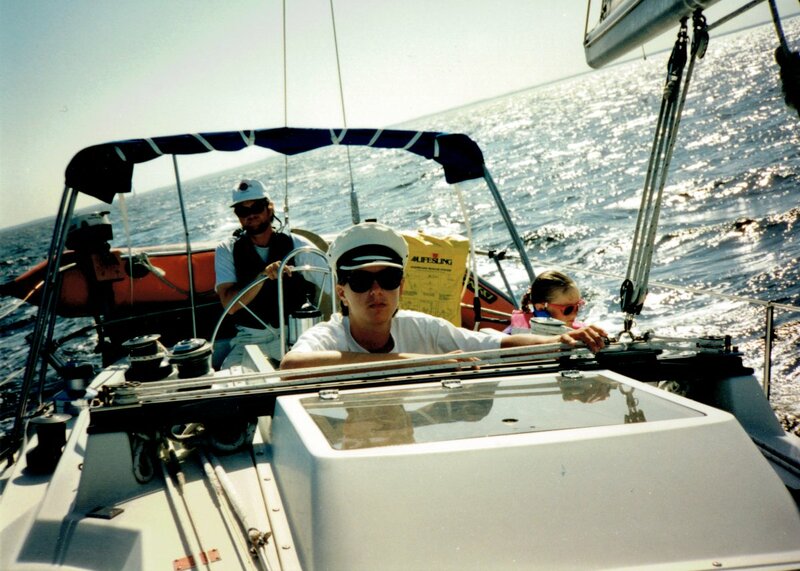 Our sailing era brought us a whole life-chapter of memories, including gliding in near silence across smooth shimmering seas with breaching dolphins in tow, countless magical evenings spent in serene reflective anchorages, and late-night cockpit conversations with our cherished friends of the close-knit live-aboard boating community. Much of it was a surreal existence—unicorns and rainbows. Some of it less so. 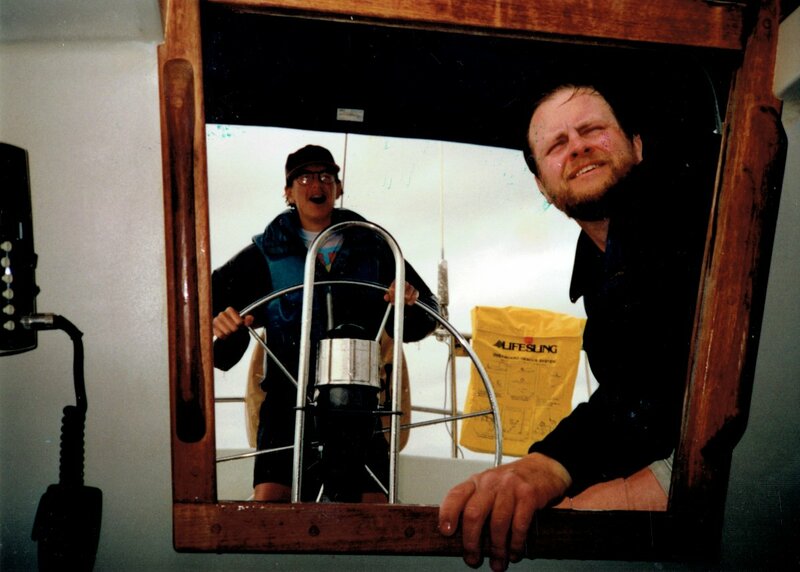 We endured a few terrifying poundings at sea. 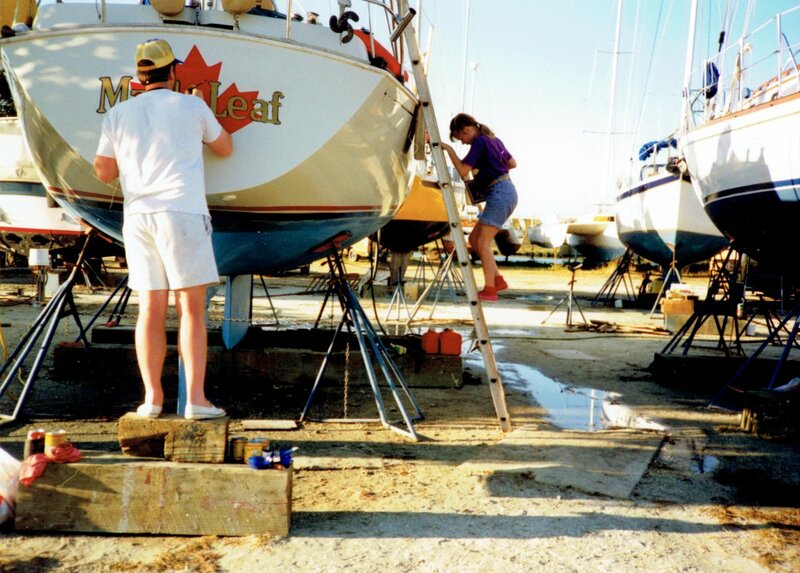 The maintenance of a sailboat in a saltwater environment turned out to be significant—there were times that I thought that I should have been paid for working on my own boat. The local marine supply store knew me by name—and not because of my artwork. 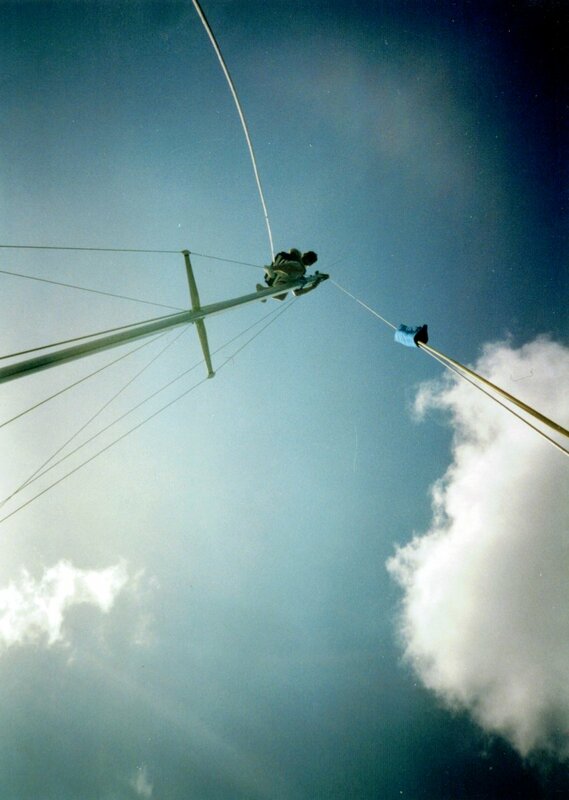 And I never grew fond of climbing the 53′ mast, though it was at times necessary. But I do not believe that you can get the unicorns and rainbows without the dragons. 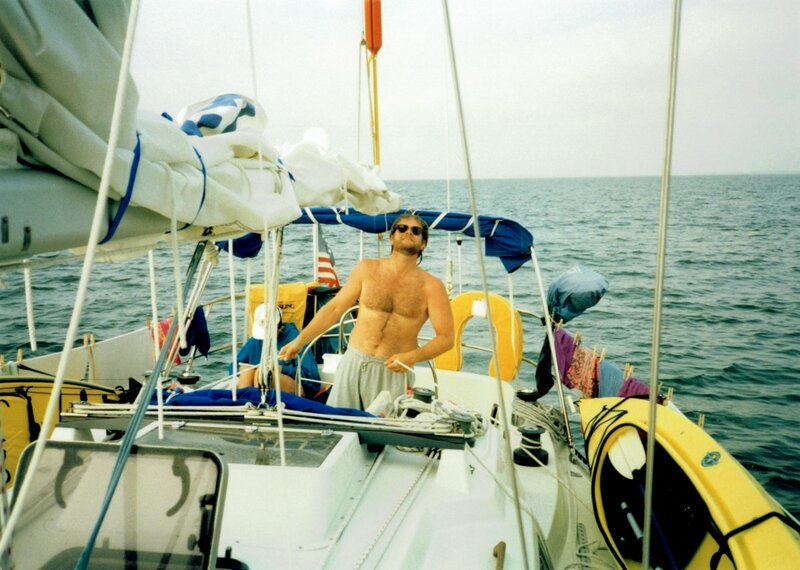 To live the sailboat life, it is all sort of a package deal. 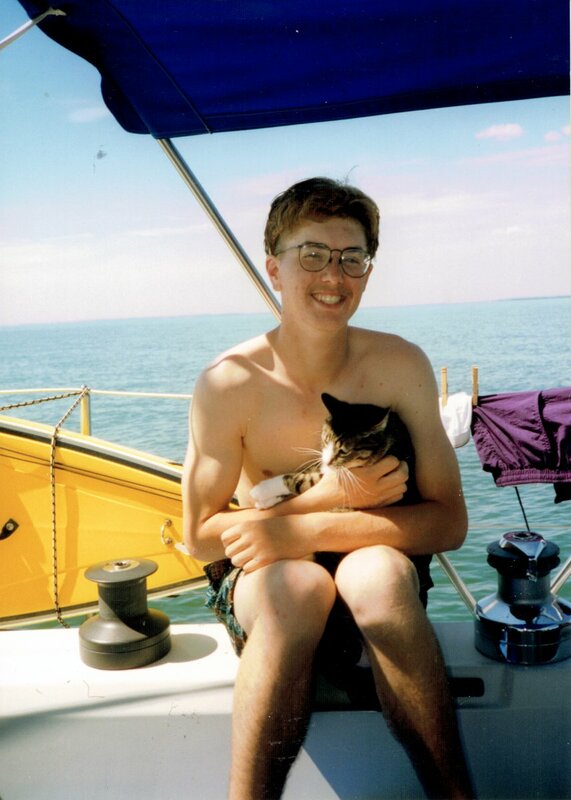 As one fellow mariner once said to me, “Gary, I have had some of the best times of my life on my sailboat.” Then he paused and thought for a moment before continuing, “but dammit, I’ve had some of my worst times on it too!” His words rang true. 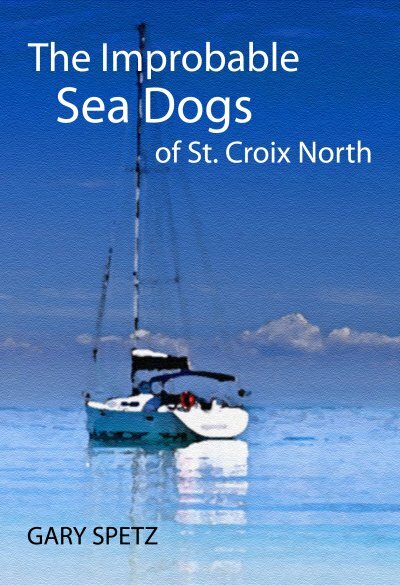 Concurrently with my Sometimes It Feels Like Far project, I have begun writing a fictional account of those heady nautical days, titled The Improbable Sea Dogs of St. Croix North. 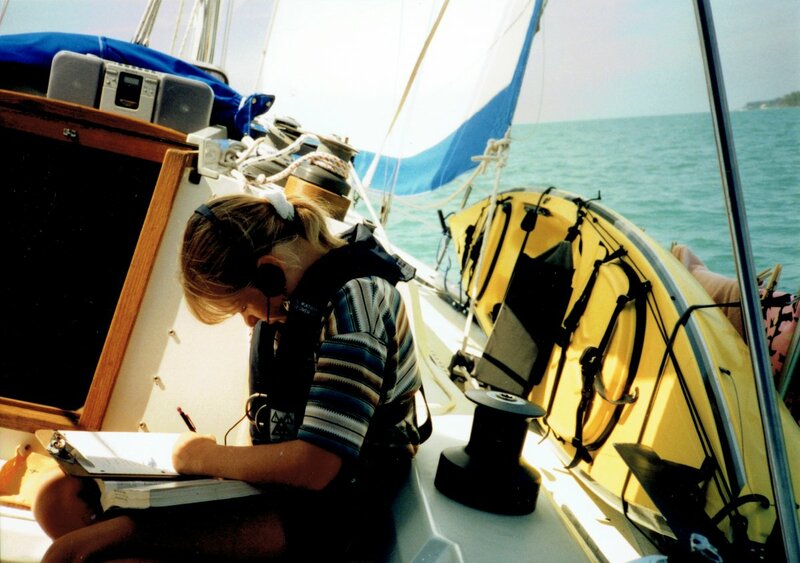 In preparation, it has been fun going back through old photographs and back in my mind to the nightly clatter of halyards, the afternoon sail-filling breezes off the beam, and the sweet smell of diesel exhaust in the morning. I miss it all greatly. I will have more on this soon.